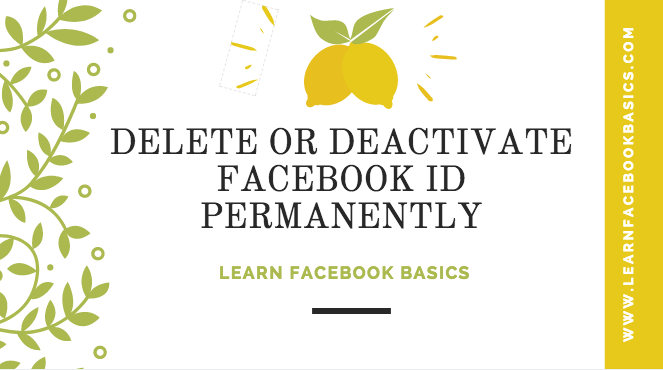 How to delete or deactivate Facebook ID Facebook account the right way. This post explains how to permanently or partially remove your Facebook account. If you are looking for the right way to get rid of your Facebook account, then you are on the right website. We will see how to delete Facebook account permanently and to deactivate Facebook account temporarily. Facebook will gradually take the time frame of 90days to completely delete your entire Facebook details and history. Please share this article online for us. Thank you!! !